Part of Urban Infill Art In The Core; empty+active spaces in the downtown will be converted into arts/cultural spaces with over 400 artists converging to exhibit their art for one of the largest multi-disciplinary art shows in the City of Thunder Bay. 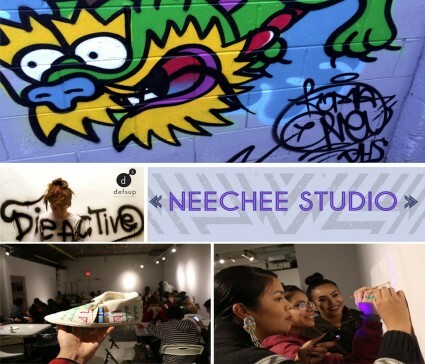 The Definitely Superior Art Gallery’s Die Active New Generation Art Collective, Neechee Studio Indigenous Youth Group as well inVISIBLE Ink-[LGBTQQ2S Youth] represents another aspect of some 24 projects/locations in the core, spaces generously donated and located in multiple spaces in the Tomlinson Block-[corner of Red River and Cumberland]+White Macgillivray Lester LLP Law Firm Bldg. [1 Cumberland St. S] Sandpaul Investments-[234 Red River Rd. ]Paramount Live-[24 Court St. S] Over 6,000 sq.ft. of new exhibition space.